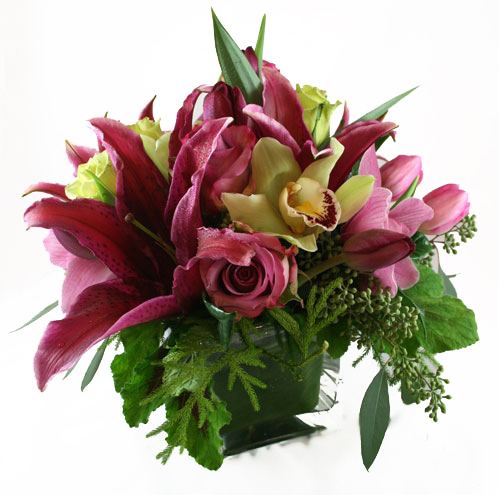 Exquisite purples define this beautiful arrangement of Lilies, Orchids, Roses and Tulips with just a hint of ivory and a coaster of greens. It is a stunning piece that will capture the heart of the recipient with its warm colors and fragrant smell. Perfect as a centerpiece, a gift, or a cheery accent to your office!